When we think about being fit and healthy or getting in shape for summer, we think about dropping weight on the scale and counting our daily calories. However, is this the right approach to getting fit and healthy or can this actually be the wrong approach and cause weight gain? I am going to explore the pit falls and potential dangers of being on a calorie restricted diet and being overly consumed with counting every calorie you eat. 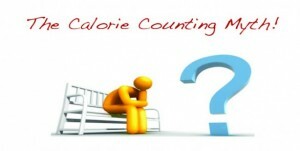 First and foremost, the notion that the human body adheres to a strict mathematical equation in terms of calories is far-fetched! Consuming 2,500 calories of fruits, veggies, and lean meats is far different than 1,500 calories of pizza, candy, and processed meats. In fact, the 1,500 calories from pizza, candy, fat free and processed foods would elicit more weight gain than 2,500 calories from fruits, veggies, and lean meats. Now let’s just think about this from a different perspective. In other parts of the world there are people in tribes that do not have the slightest clue of what a calorie is and even if they wanted to count calories their food has no label for them to even count! The real issue is not calories per se; it’s the effect those calories have on our body and the insulin response to those foods. Due to this calorie-counting phenomenon, health and food industry companies make low fat or sugar free foods, which in turn, is causing major health issues around the nation. Again, it’s not all about the calories but rather about the quality of food that make up those calories. Like I mentioned before, consuming 2,500 calories of fruits, veggies, and lean meats is far better than 1,500 calories from low quality processed food. 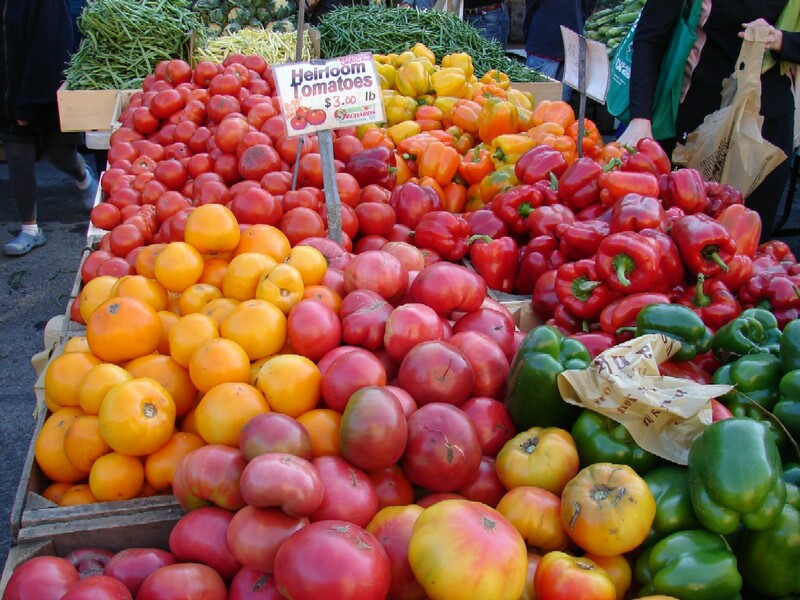 Focus on eating high quality organic food whenever possible and stick to just water for your beverage. It is very difficult to eat REAL food and gain weight. 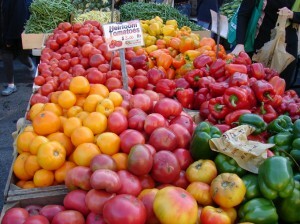 When you eat good quality food you will find yourself actually eating less because the food is very nutritious. This leads your body to react in a positive way and cuts down on over-eating because the food cravings are greatly suppressed due to the incomparable nutritional values of the unprocessed and fresh foods. So as a quick recap, eat REAL food and learn to listen to your body and you won’t have to make a daily calculation of calories and a monthly (or daily) date with the scale! 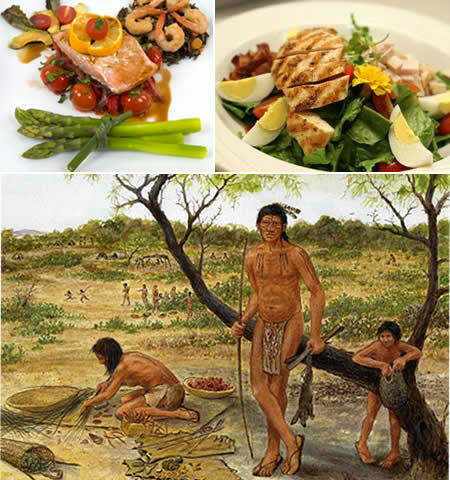 Instead of counting calories just ask yourself this question, “Was this food around 10,000 years ago?” If not, DON’T eat it and you just solved your counting calorie problem! If you need more tips about eating healthy on the go, check out my Healthy eating on the go video. Put these principles into action and watch your mind and body make dramatic changes! Until next time live with passion and get inspired! http://www.afinstitute.com.php56-19.dfw3-1.websitetestlink.com/wp-content/uploads/2014/08/AFI-logo-300x128.png 0 0 Anderson Fitness Institute http://www.afinstitute.com.php56-19.dfw3-1.websitetestlink.com/wp-content/uploads/2014/08/AFI-logo-300x128.png Anderson Fitness Institute2012-04-02 13:04:392012-04-02 13:04:39The Great Calorie Myth! Top 2 Tips To Get Fit This Summer! http://www.afinstitute.com.php56-19.dfw3-1.websitetestlink.com/wp-content/uploads/2014/08/AFI-logo-300x128.png 0 0 Anderson Fitness Institute http://www.afinstitute.com.php56-19.dfw3-1.websitetestlink.com/wp-content/uploads/2014/08/AFI-logo-300x128.png Anderson Fitness Institute2012-03-27 09:44:402012-03-27 09:44:40Top 2 Tips To Get Fit This Summer! 4 Foods YOU must avoid! 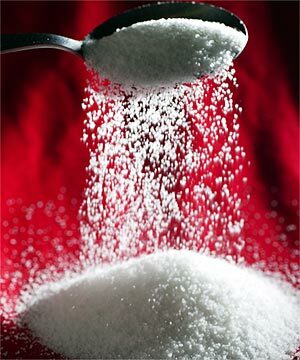 White sugar is extremely toxic to the body and makes it very very difficult to get in shape. One table spoon of sugar can suppress your immune system for up to six hours making you very susceptible to getting sick!! Daily intake of sugar produces a continuously over acid condition. This causes a mineral imbalance and the body has to extract nutrients from body tissues like bones and teeth to buffer the toxic and highly acidic environment. Over consumption of sugar also causes the liver to release glycogen ( stored sugar) to be released into the blood stream in the form of fatty acids. Artificial sweeteners should also be AVOIDED! Stevia is an herb and is about 100 times sweeter than sugar. Below-ground vegetables: Carrots, beets, sweet potatoes. #2 pasteurized Dairy and juices. If you consume dairy products or fruit juices it is very important to consume fresh squeezed juice and raw whole milk. The pasteurization process involves heating the milk to a certain temperature to kill potentially harmful bacteria. The problem with this is it also kills all the important enzymes, vitamins, and amino acids that make milk or juices good. Its considered pasteurized when the chemist finds NO enzymes present in the milk..Which is just dead milk or sugar water! A lot of people have trouble with digesting pasteurized dairy because it lacks the enzymes and amino acids necessary for proper digestion. If you have trouble digesting dairy try raw whole milk or raw goats milk. Some people just have trouble digesting diary no matter if its raw whole milk or not and therefore should avoid dairy all together. Much like the white sugar white flour acts very similar in your body and is broken down almost the exact same as white sugar. 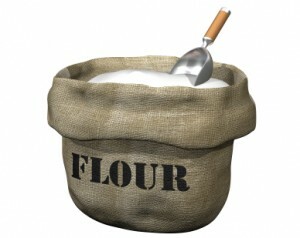 White flour can also suppress your immune system and also cause a mineral imbalance and a very acidic environment! Opt for whole grain organic flour and other forms of whole grains that are not processed or minimally processed. It is also very important to track how your body feels after eating grains to see if you should or should not be eating them. If you having bloating and feel lousy after every time you eat grains you might want to consider completely eliminating it from your diet or limiting your exposure to it. Believe it or not there is a huge difference between natural sea salt and refined salt. The table salt is highly processed and often uses things such as anti-caking agents which some are aluminum based and is linked to heavy metal toxicity. 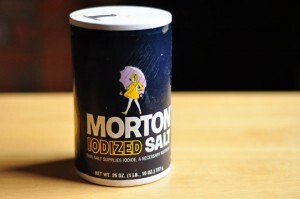 Other things added to table salt are linked with high blood pressure, Kidney issues, and Alzheimer’s. Use sea salt as a replacement to refined table salt. Here is a quick tip, taste your food first before you add some sea salt. All of these foods cause major stress, mineral imbalance, and potential health risks. Because these foods are all foreign to your body it robs vital nutrients in order to breakdown and digest these foods. It cost your body more energy to break them down than what the food gives you. This is why most people are always tired and sluggish because these 4 foods are a staple of the American diet. Do your very best to avoid or minimize your intake of these 4 foods! http://www.afinstitute.com.php56-19.dfw3-1.websitetestlink.com/wp-content/uploads/2014/08/AFI-logo-300x128.png 0 0 Anderson Fitness Institute http://www.afinstitute.com.php56-19.dfw3-1.websitetestlink.com/wp-content/uploads/2014/08/AFI-logo-300x128.png Anderson Fitness Institute2012-02-22 13:26:332012-02-23 08:57:334 Foods YOU must avoid! http://www.afinstitute.com.php56-19.dfw3-1.websitetestlink.com/wp-content/uploads/2014/08/AFI-logo-300x128.png 0 0 Anderson Fitness Institute http://www.afinstitute.com.php56-19.dfw3-1.websitetestlink.com/wp-content/uploads/2014/08/AFI-logo-300x128.png Anderson Fitness Institute2012-02-17 07:45:592012-02-17 07:47:00Worlds Best Diet Plan! You got it; Passion is the name of the game and is also the variable that will take you straight to the promise land. So many people never get what they want out of life for two simple reasons. One because they have no clue what they even want out of life and two they lack passion. Life is about Taking chances do what you love and love what you do; life is too short to have the same day twice. I don’t care what you are trying to accomplish in life, if it isn’t fueled with passion you might be missing the boat every time. Take strides each and every day to be 1% better than you were the previous day and start living your dream because if you don’t chase your dream then who will? Why wait till tomorrow to start living your dreams the time is NOW!! I am going to be straight up with you it takes an extraordinary amount of courage to live out your dream but I can promise you this, if you have a huge amount of passion you will find a way to make it happen. Choose what activities you want to experience while you are living. These are your Dreams. Prioritize them into your goals and begin living them out every day. If you do that you will wake up each and every morning with tremendous joy to start your day! 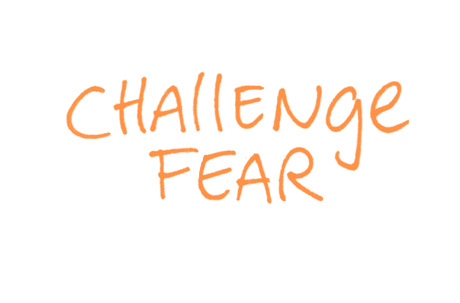 Tackle one task everyday that scares you. Find activities that you are passionate about and go after them with a laser like focus! Don’t live someone else’s life, live the life YOU have always dreamed of! Life is not a spectator sport, so start participating and be an all-star. http://www.afinstitute.com.php56-19.dfw3-1.websitetestlink.com/wp-content/uploads/2014/08/AFI-logo-300x128.png 0 0 Anderson Fitness Institute http://www.afinstitute.com.php56-19.dfw3-1.websitetestlink.com/wp-content/uploads/2014/08/AFI-logo-300x128.png Anderson Fitness Institute2012-01-05 21:53:182012-01-28 14:01:06I DARE YOU!